Josh was another beard spotted at the Denver Beer Festivus in Civic Center Park on Sunday. Pictured with Josh and his amazing beard are his father on the left, who was visiting from Lincoln, Nebraska for the weekend (and beard a striking resemblance to Sean Connery), and Josh’s brother on the right, Jarrett, who greatly assisted in Josh’s beard interview. We learned Josh has had his beard for the past decade, and has been growing a beard since he was 15 years old. Jarrett used to have a rockin’ beard, too, but because of fear of bird attacks he cut back. Due to Jarrett’s top-notch interviewing skills, we learned that Josh has never been attacked by flying objects because of his beard, but he did recently have a sparrow trapped in his house and it came perilously close to nesting in Josh’s fantastic beard. Luckily, it seems he was left unscathed. 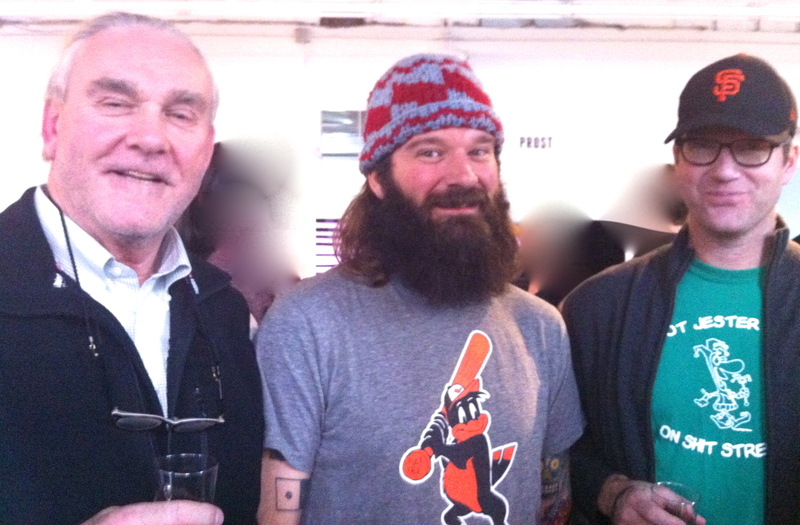 But, birds beware: we can’t imagine the beard power if all three of these gentlemen grew their beards out!